Today’s post is an oldie and long overdue. Mike took all the pictures on his phone and of course this became a huge obstacle to me because I’m computer illiterate. I know it’s weird, I blog and people at my job seem to think I’m really good with computers but trust me… I am not. ANYWAYS. 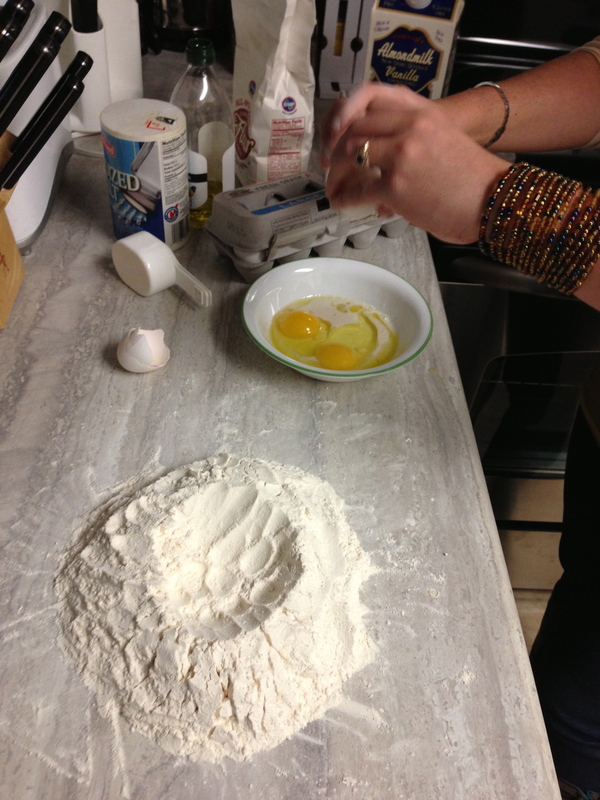 As I mentioned in my Fall 2012 To Do List, I wanted to master a new cooking skill this fall. 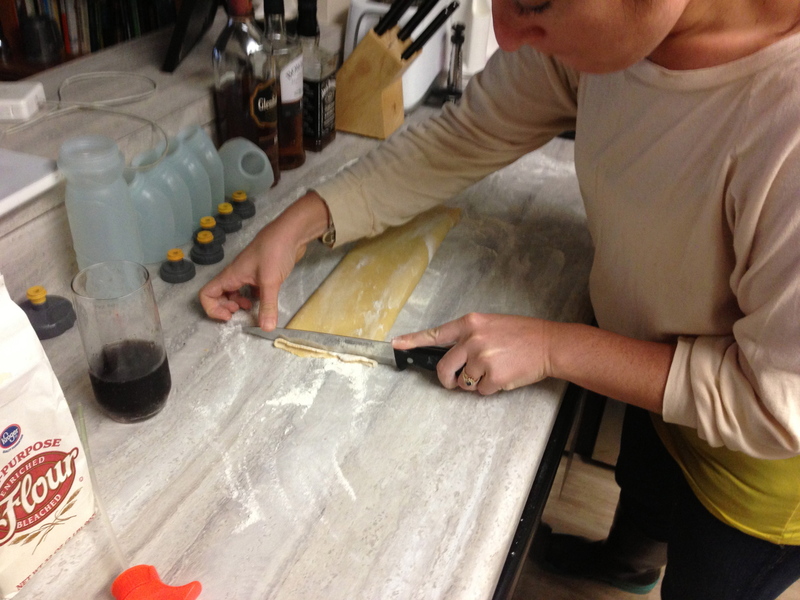 I decided I would finally try my hand at making homemade pasta. 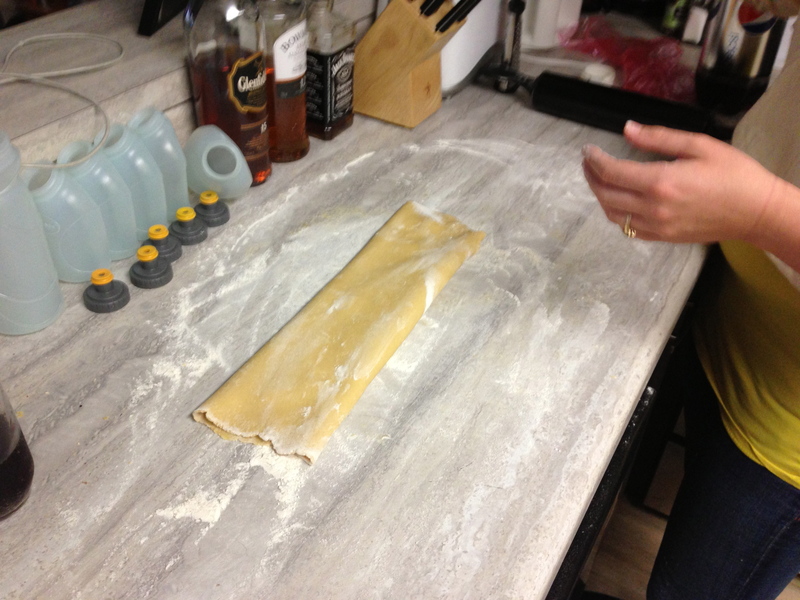 Pasta is really not hard to make… but you need a lot of space to dry it. Space was something I did not have in my old apartment. 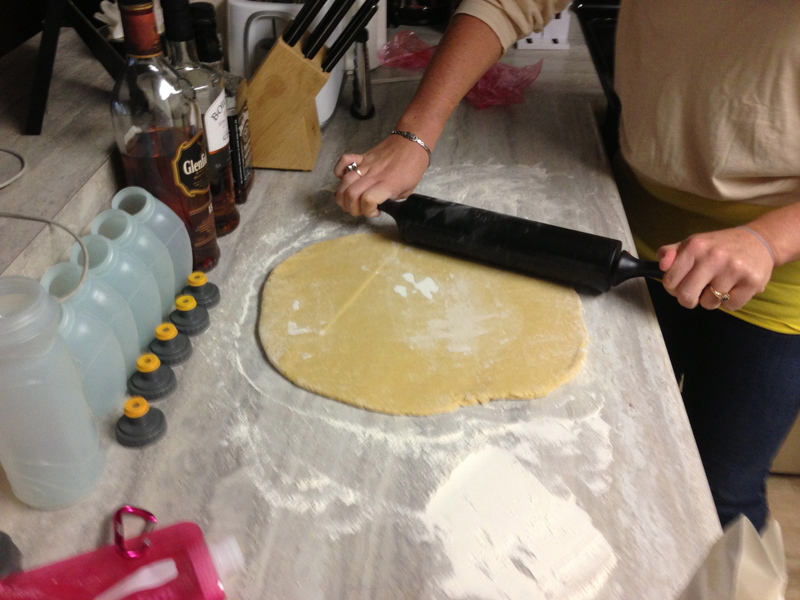 So with my brand new big girl kitchen, I set out to make homemade pasta a few Sundays back. 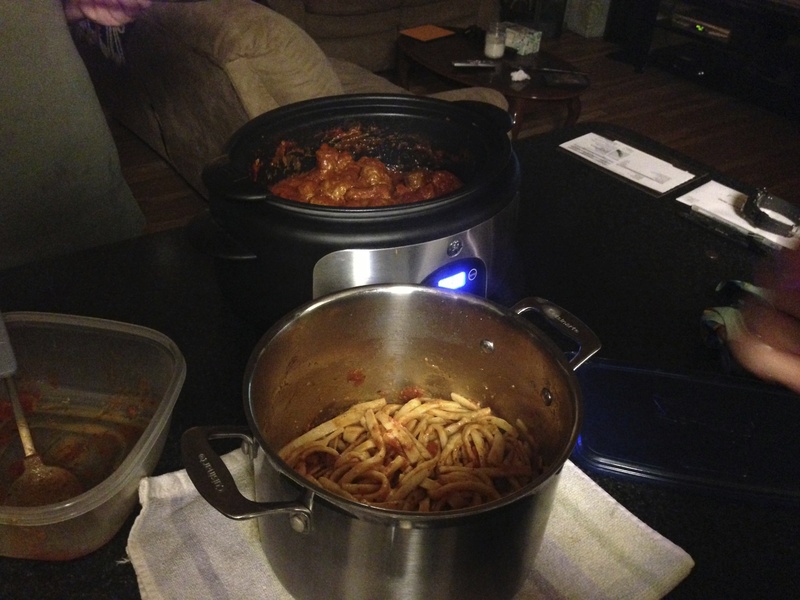 I coordinated with my brother so plan a dinner at his apartment with my homemade pasta and his sauce and meatballs. A perfect Sunday indeed. Mike was kind of enough to take 1,000,000 pictures of me during this process. Here’s how it went. 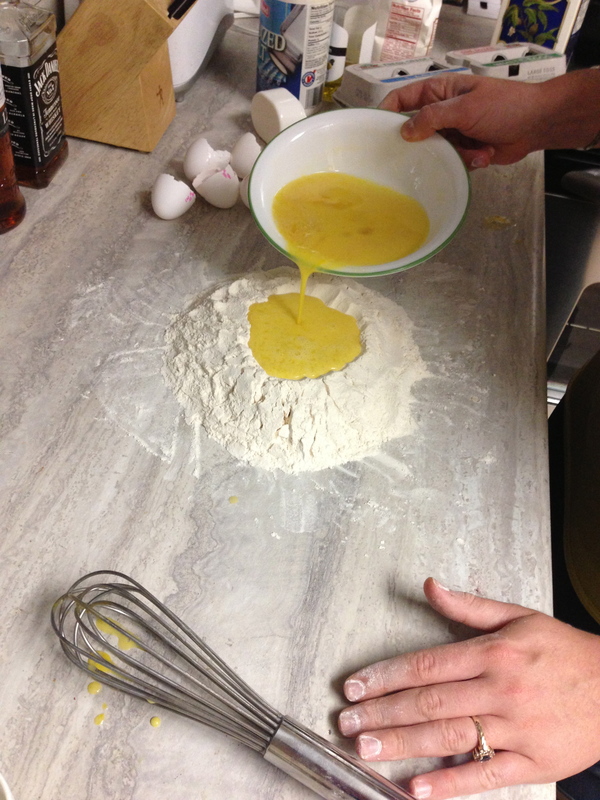 There are a startling number of eggs in pasta. I had no idea. I used this step by step guide I found online, because I never do anything without instructions. I decided to make a double batch since the batch they made looked kinda small, and I was making a meal for three boys and one pasta eating phenomenon (me). Look at me… totally following the directions. 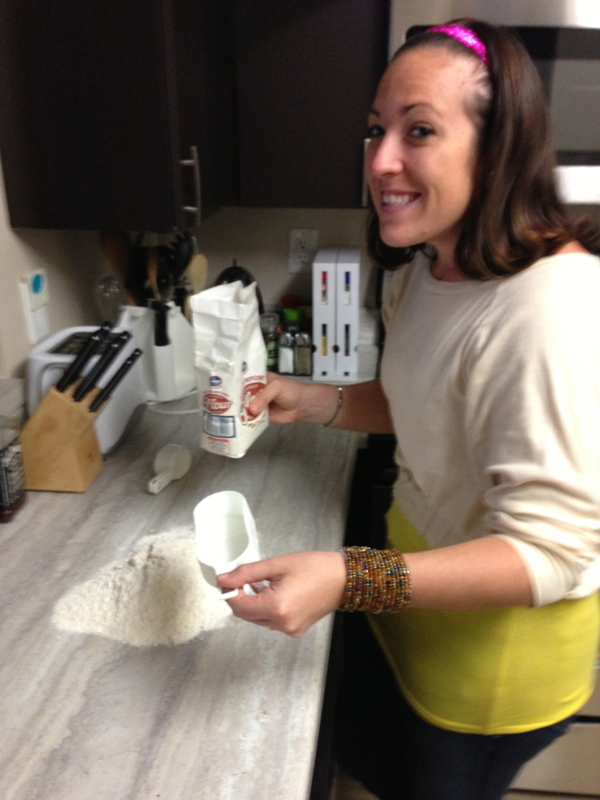 Making my little flour mountain into a flour volcano so I can pour my eggs in just like the lady in the demonstration. Aaaannnndddd then my flour volcano erupted. Literally, we were at def con 5 up in here. 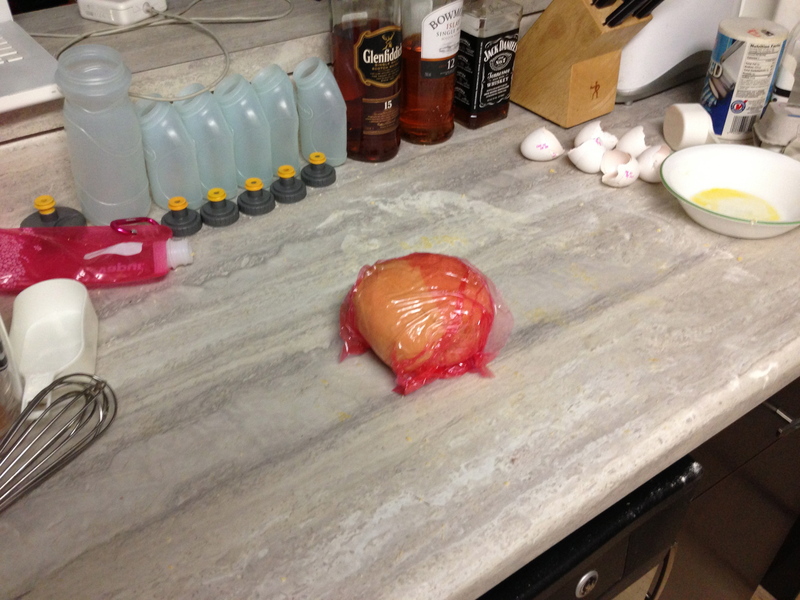 Egg was spilling out EVERYWHERE and I couldn’t get it together fast enough. Mike was legitimately just laughing at me and catching this all on camera because he is a terrific boyfriend (but he seriously is). 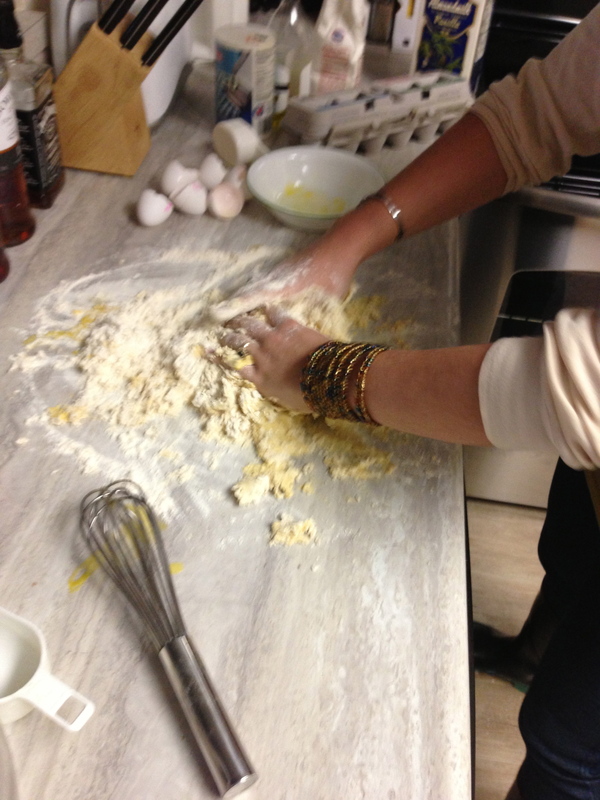 I was pretty convinced I was never going to get a cohesive ball of dough out of this mess. Unless you counted all the crap that was stuck to my hands (WARNING: take off all jewelry before trying this at home… I wish I had taken my own advice. I found a dried piece of dough in one of my rings like a week and a half later). 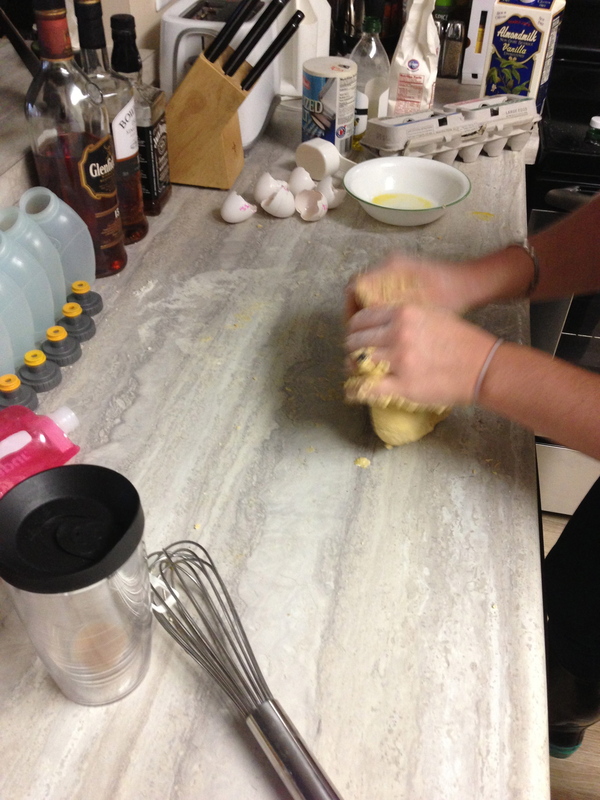 But finally after some serious sweating and cursing… I muscled my ball of dough into submission. And it rested. And I rested! Then it was time to roll. Thank you Mike for purchasing this rolling pin at Target. Without it we would’ve had a giant ball of dough and no pasta. After I got it as thin as I could (it was still thicker than normal pasta from the box, but I think that is normal) I rolled it around the rolling pin and was left with my little pasta stromboli (minus the gooey cheese and marinara). After this, I made Mike put the camera down and start helping because this was a lot of work. I cut the roll into the thinnest pieces possible, and then we started unrolling / laying the pieces out to dry. After letting the pasta dry for 3 hours, we packed it all in a container and went over to my brother’s place. One big pot of water and olive oil later, dinner was served! And oh… my… God… IT WAS GOOD. I highly recommend it 🙂 especially if you have a cooking buddy who can film / laugh at you the whole time!! i must say… it looks like a whole lot ta fun…. and delicious too!